Application, should be completed by Saturday, January 12th, 2019 before the test. Transcript request, should be completed by Friday, January 25th, 2019. Recommendation Form, should be completed by Friday, January 25th, 2019. Please note the date change to Friday, September 28, 2018, for all Omaha area 7th & 8th grade students. Please join us for the varsity football game between Prep and Columbus at Burke Stadium. Before the game we will gather at 5:30 p.m. at Creighton Prep’s Henry Sullivan Center. Students are invited for food, fun, and prizes! Food will be provided courtesy of Flik Food Services from Prep’s state-of-the-art kitchen. All students should arrive on campus via the west parking lot and enter the west doors of the Henry Sullivan Center. Transportation to the game will be provided. Students should be picked up by their parents at Burke Stadium in the west parking lot after the football game. 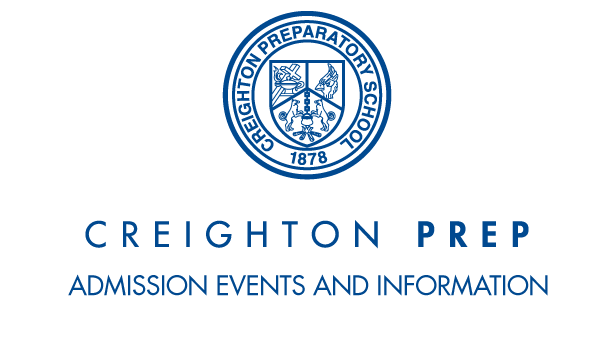 For questions, please contact Josh Luedtke, Director of Admissions at 402-548-3872 or jluedtke@creightonprep.org. We invite you to our Open House to meet our students, faculty, Jesuits and alumni. Registration is encouraged. Walk-ins are welcome. Your visit will include a clubs and activities preview, Q&A with faculty & administration, Science Competition Teams demonstrations and tours. When: Sunday, November 4, 11:30 a.m. – 2 p.m.
Who: All 5th, 6th, 7th and 8th grade students and their families are invited to attend. We are ready to show you everything we have to offer. We Are Prep. For more information, contact Admissions at 402.393.1190 or email Josh Luedtke at jluedtke@creightonprep.org. November 5, 2018 - Begin applying with FACTS by clicking HERE. January 12, 2019 - Financial aid applications are due. Supporting documentation, i.e., 2018 IRS tax return and 2018 W-2s, must be provided. Late February - Financial aid information is mailed to accepted students. Applications will be processed in the order they are received. Wednesday, February 27, 2019, 5:30 p.m. - 7 p.m.
All accepted students will be mailed a packet and authentication code to register for classes. Enrollment forms must be completed either online or in person, and the registration fee must be paid in person by this date. (Payment must not be mailed.) Financial aid awards are also dependent on this date, and students who do not register will forfeit those awards. Creighton Prep is having its 19th Annual Fun Night for all 8th grade boys. This awesome event will be held on Friday, November 9 beginning at 6 p.m. and ending at 11 p.m.
You can drop your son off in the west parking lot starting at 6 p.m. We will gather in the Commons. You are free to bring some snacks of your own, even though we will provide some snacks throughout the evening. Please fill out the registration/medical waiver form HERE with a mandatory parent signature and include the non-refundable fee of $25 (check made payable to Creighton Prep). Return the form and fee to Creighton Prep on or before Thursday, November 8, 2018. If you have any questions, please call Josh Luedtke at 402-393-1256.